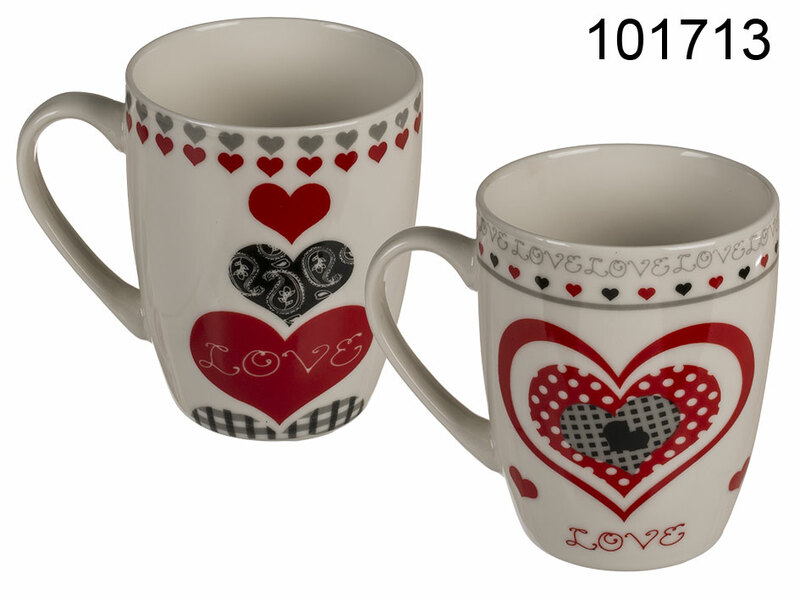 Porcelain mug that reads "LOVE" and is decorated with adorable heart pattern. Two models available - assorted. Perfect romantic promotional item for Valentine's Day.